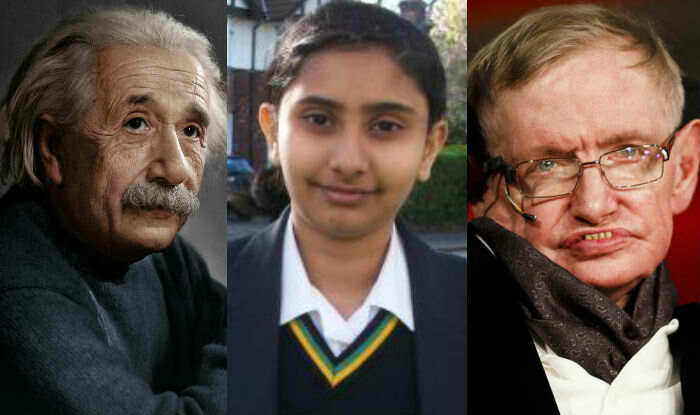 Rajgauri Pawar, a 12-year-old teen from India is recently gaining popularity because of her intelligence. After she took the British Mensa IQ test, it was revealed that her IQ exceeds the scores of Albert Einstein and Stephen Hawking. Her intelligence despite her age amazed many people. She gained popularity when her story was first covered by Times of India and other mainstream news websites. She took her IQ test on April 2017. Her score was revealed to the public(she gained 162 points). It was later revealed that Hawking and Einstein took the same type of exam back then. And both of them got 160 points; 2 points behind Pawar's. "I'm a bit happy, but I don't think I should be compared with them because they're, like—really great, and I don't think I am." When she realized that her score is a little bit above the two intellectual giants, she didn't boast it. Instead, according to her father, she stayed humble and even gave a subtle hint that she is yet, to achieve 'greatness'. Her father also revealed that she shows great enthusiasm in her studies, she exhibited interest in many subjects despite her young age. May her story serve as an inspiration for young people and even parents.